Angels Are For Real is the true and inspiring story of an eight year old boys encounter with Angels while enduring a rigorous two year battle with Leukemia. Gabriel William Stuart visualized, spoke with, and shared emotional moments of reassurance, strength, and comfort with Angels. His Angels were sent from Heaven according to Gods purpose. They delivered a gift of peace to Gabriel, his family, and to all who were a part of his life while coping with cancer. It was Gabriels Angels that gave his father an authentic belief in the life, the death, and the resurrection of Jesus Christ. It was also his Angels that gave Gabriel the words to a song that was written for his mother, carrying a message of understanding to what will happen Someday. Oh, someday I know well be together forever. but someday I know well be together forever. Oh come to me from the sky and let our spirits be in harmony. oh come with me and see the moon and stars. Oh come with me into the sky; I know we wont be apart. Oh someday, I know well be together forever. 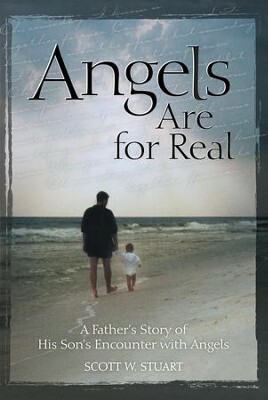 I'm the author/artist and I want to review Angels Are For Real: A Fathers Story of His Sons Encounter with Angels - eBook.